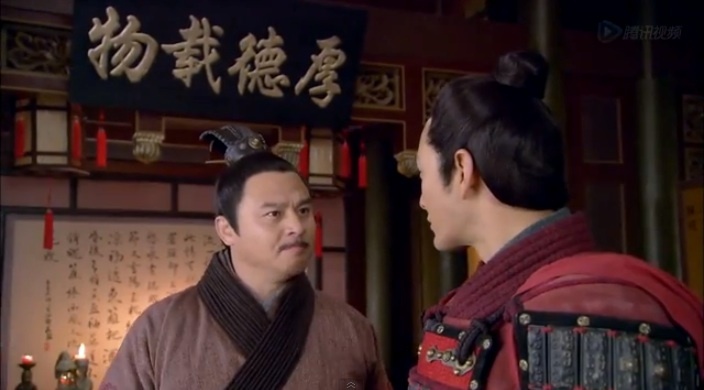 General Du argues with Yue Fei over the logic of the flood. The frustrating thing is, General Du does make a semi-valid point about how Yue Fei might not have won had not been for the flood. Yue Fei goes back to summarize the meeting for Bro Squad. General Du has decided to move away from the city. But if they leave, Jin can take over very quickly. Zhang Yong and Wu Shi Ma are still traveling in search of the doctor. Turns out their rest stop has a sketchy owner. He knocks out Zhang Yong and Wu Shi Ma with some sketchy wine. 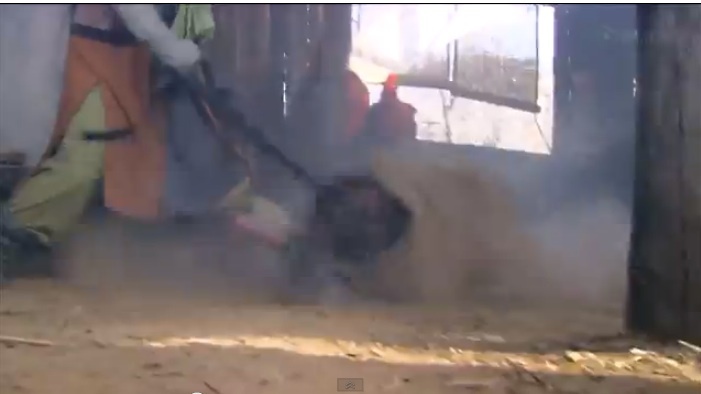 However, Zhang Yong wakes up and beats them easily. Wu Shi Ma wakes up in time to save their lives. Hee, she’s so cute and sweet. Girl gotta keep Zhang Yong in check. They decide to take over the little shop and stay out of fighting. More political arguments over where the Emperor should flee to next. Awesome. They’re just moving more and more south. YEE Liang Hong Yu is back! She’s leading a bunch of women in some drum beating. Han Shi Zhong (squee!) comes over to visit. AW they have a baby daughter!! 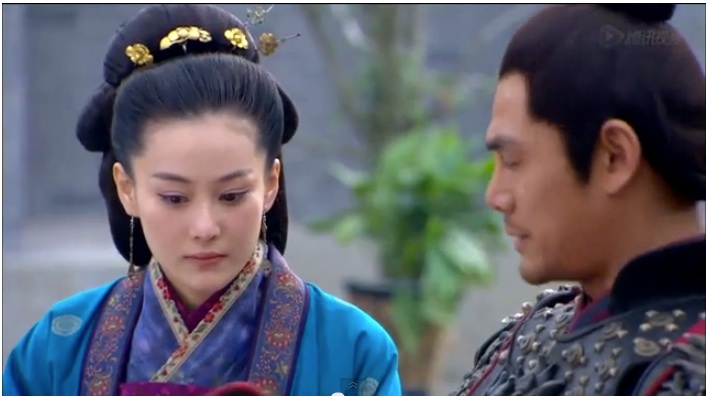 So cutes when Han Shi Zhong dotes on mother and daughter. I can see him spoiling her. 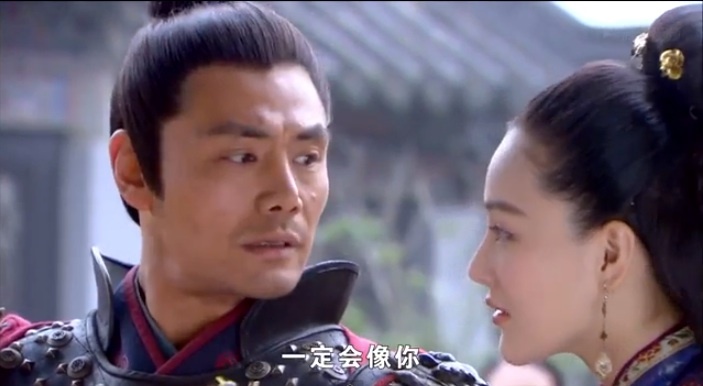 Han Shi Zhong tells Hong Yu that he’s not going to let her go on the battlefield with him.The baby is still small and needs someone to take care of her. She makes him promise to return safely in return. Xiao E and An Niang are wandering along with a group of stray citizens. 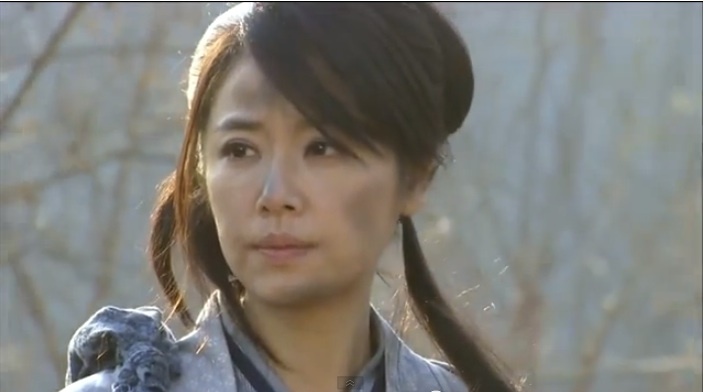 I hope Yue Fei had the foresight to let her know where he’s headed. He’s quickly becoming the worst husband/father ever. They’ve been trekking everywhere! LOL the Jin army has fought into the city. The Emperor flips out and hurries to leave. Ah, Official Wang is still trapped..by angry citizens? 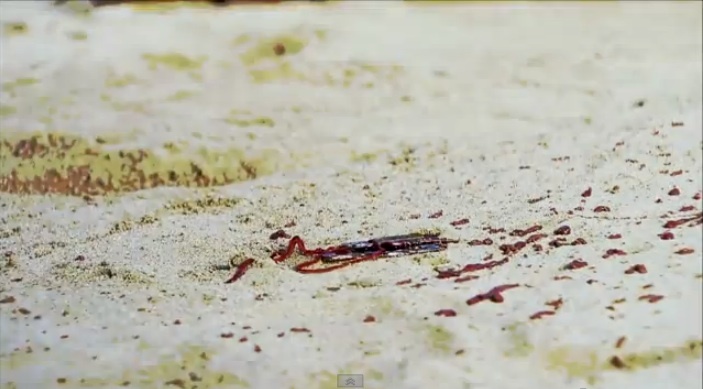 The Emperor abandons him. Jin wrestlers kick and beat a Song person. He’s hiding something in his mouth. They hang him to get his mouth to open. Out drops some metal coins. Turns out, these coins were some of the first coins made by Emperor Qin (first Emperor of China….the coins unified the country). Wu Zhu lets the man go (Yu Wen Xu Zhu). Yue Fei reminds everyone of the goal. LOL they’re still trying to save the two imprisoned royals? I’d be surprised if they were still alive. 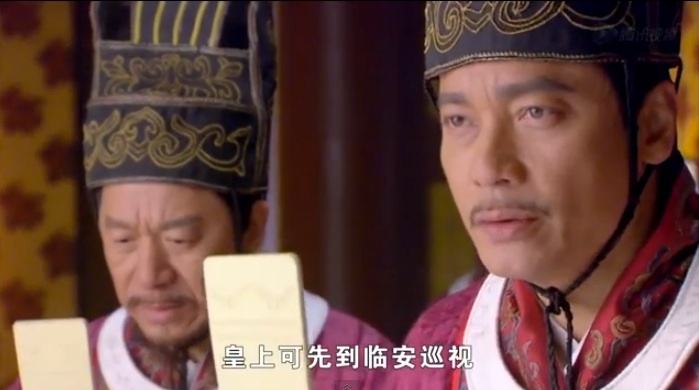 This entry was posted in Chinese Dramas, Culture, Drama Recaps/Reviews and tagged 精忠岳飞, Episode 30, Huang Xiao Ming, Jing Zhong Yue Fei, Patriot Yue Fei, Recap. Bookmark the permalink.